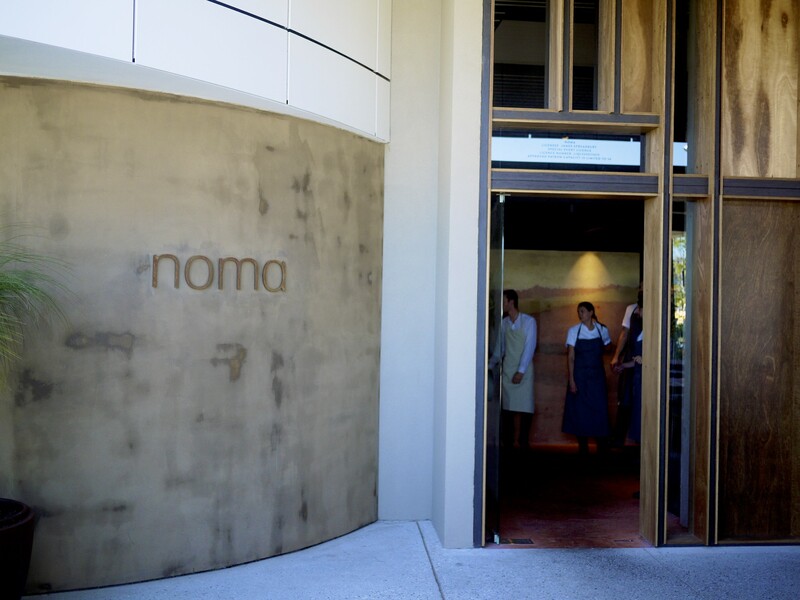 Noma and the Fat Duck were two of the first fine dining experience my wife (then girlfriend) and I had experienced in Europe so I thought it would have been very fitting if I managed to miraculously score a table for both pop-ups in Australia; and I did! Admittedly, my friend Sarah was the one who actually had scored the table at Noma as I had accidentally slept through my wake up alarm whilst traveling in Spain. It does appear that lady luck is still by my side in my culinary adventures. She didn’t abandon me for elBulli and the Fat Duck down under and she certainly didn’t here. We were two of the 5,500 lucky diners… and trust me you were well aware of the 27,000 strong waiting list breathing down your neck!! Fast forward a few months and here we were, having flown from Melbourne to purely indulge ourselves for the afternoon. I had very fond memories from my last experience seven years ago in Copenhagen and the staff warmly greeted us as they had before. 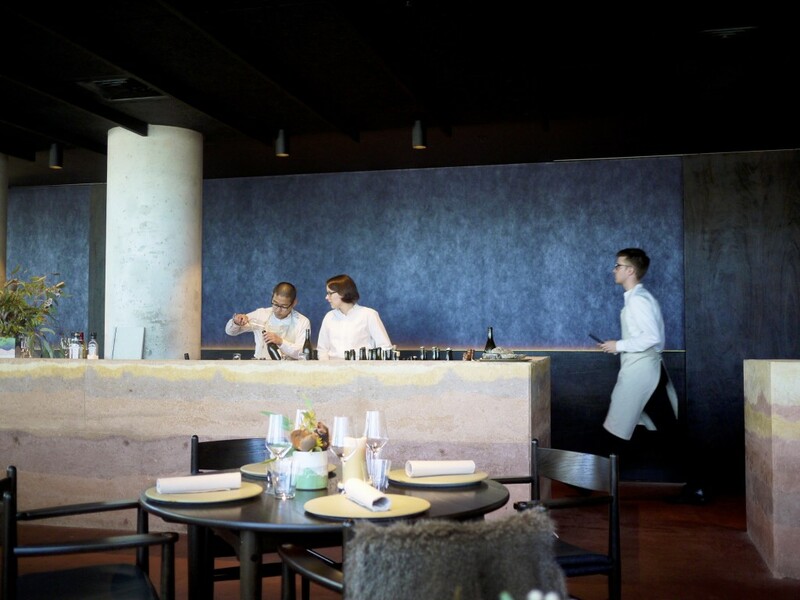 After being greeted by Redzepi and his team of chefs, we found ourselves directed to our table in a cool and modern decor dining room. There wasn’t much of a view as the curtains were draped from top to bottom and we were oriented towards the service stations. 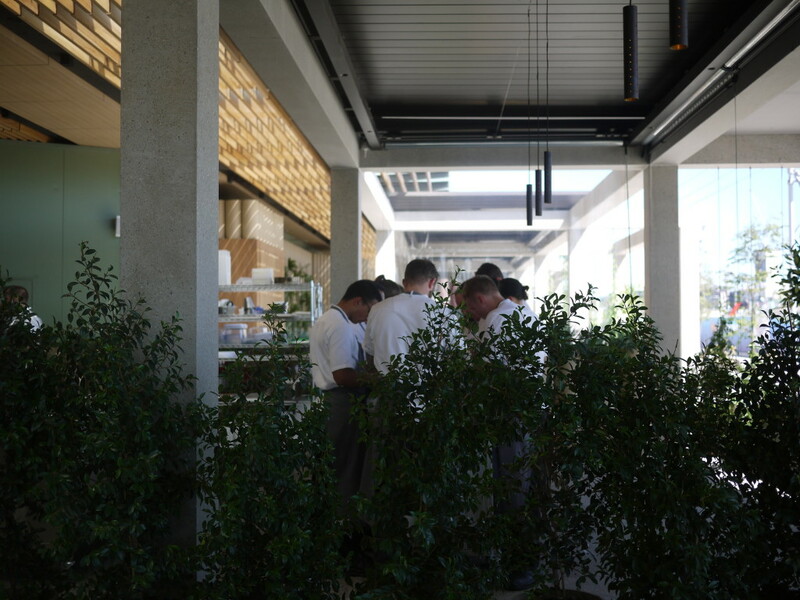 This did have some advantages as it allowed us to observe the army of front of house meandering around the room as well as the reaction of each diner as their dishes were being served. This certainly worked at building up the anticipation. There was certainly a different type of dynamic here compared to the Fat Duck in Melbourne which was perhaps more discrete, not that I minded. With the meal paid upfront all we had to do was choose our beverage pairing option. I went for the matching wine option ($195) whilst my friend chose the matching juice ($95). We opted for a glass of the Snakebite a la Noma, which was a significant departure from what I remembered from my students days. The producers from Two Metre Tall in Tasmania recreated this classic drink with an unusual barrel-aged cider-ale blend; the result being a rather crisp and refreshing drink that went down almost in one gulp perfectly quenching my thirst from the heat outside. Luckily the team here were as generous as always. Top up was plentiful at no extra cost. This was going to get messy. As the glass got topped up for the second time our friendly waitress Tamara explained that the meal today was celebrating the Australian native ingredients and produce. Intriguing. I was wondering what lengths Redzepi had gone to for authenticity. Perhaps he had wrestled a kangaroo to the ground himself (to which he assures us not this time later in the meal). 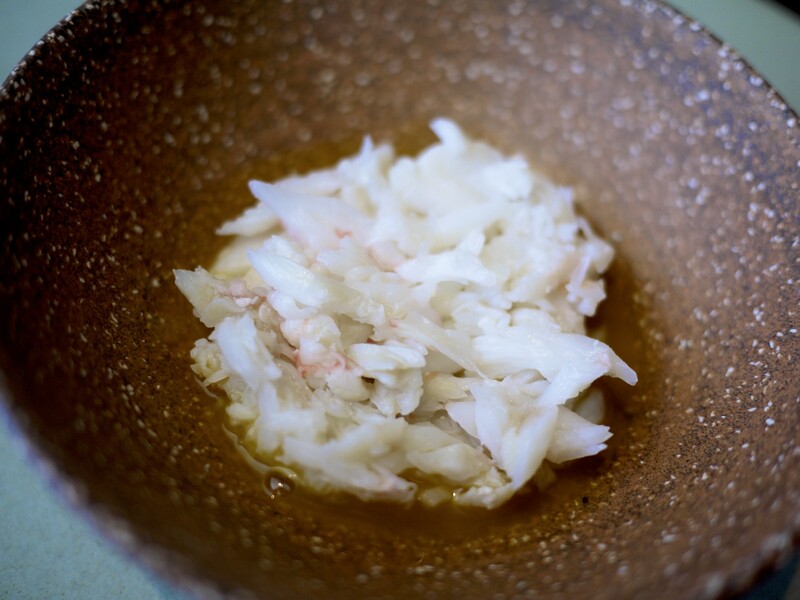 1st Course – Unripe macadamia and spanner crab: The first course was a broth of spanner crab from Western Australia with macadamia nut from Byron Bay, served over ice and drizzled with rose oil. I loved the marriage of the sweet and savory broth, the crunchy and sweet nut and the floral note of the rose oil (which to be honest, prior to tasting, I didn’t expect to work). The combination of the flavour reminded me of eating coconut on the beach while licking your lips wet from the salt water. 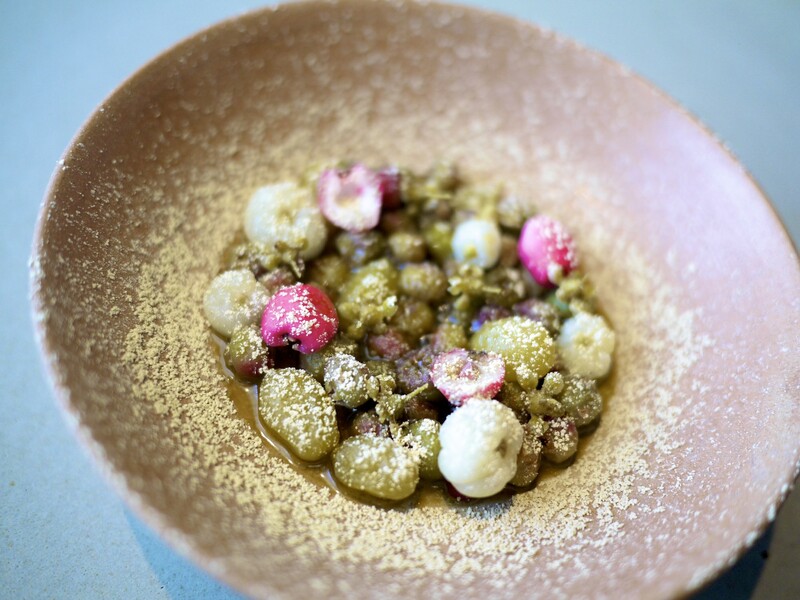 2nd Course – Wild seasonal berries flavoured with gubinge: A dish created from several types of native berries including muntries, riberry, kakadu plum, desert lime and lemon aspen, dressed finally with finely grated kakadu plum (gubinge) powder and olive oil. It was a rather tart dish that could have been balanced better in my opinion, making it my least favourite course of the meal. In comparison, I thought Attica’s take on the native berries was more refined. 3rd Course – Porridge of golden and desert oak wattle seed with saltbush: This was a far more interesting and, most importantly, delicious course. 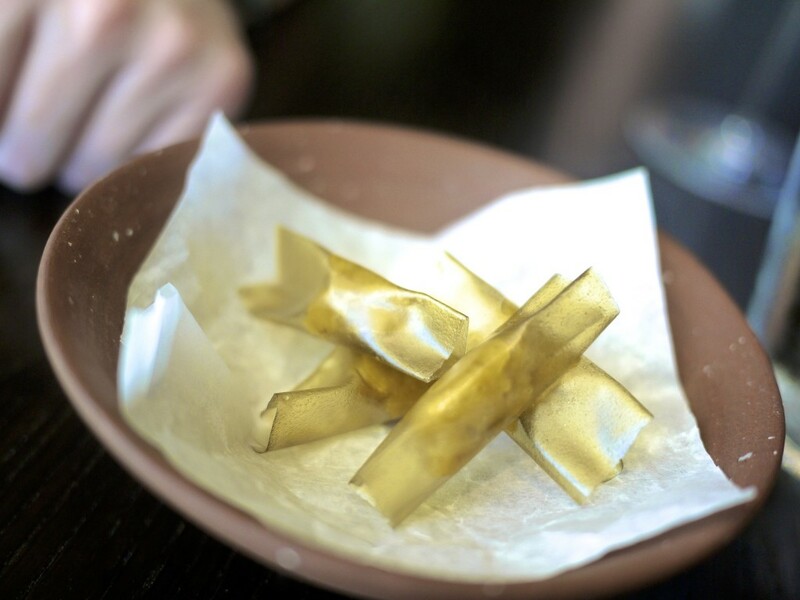 The ‘porridge’ which was wrapped in celery oil compressed saltbush leaves, was made from two types of wattle seeds, the golden and desert oak. 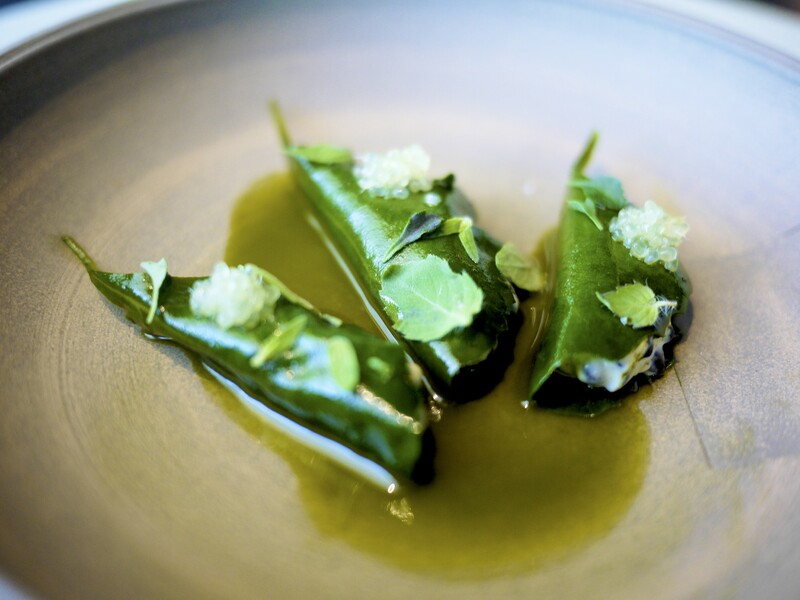 This playful take on Dolmades was completed by a sweet anise myrtle oil, native herbs and finger lime dressing. 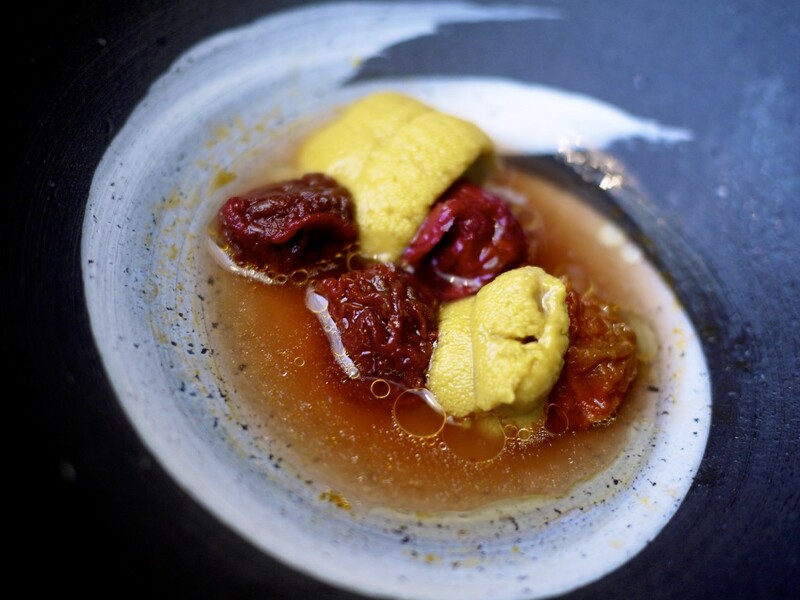 It was a very creative use of unconventional local produce which highlighted Redzepi’s ability to adapt in foreign environment. 4th Course – Seafood platter and crocodile fat: If, for some bizarre reason, you ever wondered what crocodile fat could be used for then Redzepi has the answer. 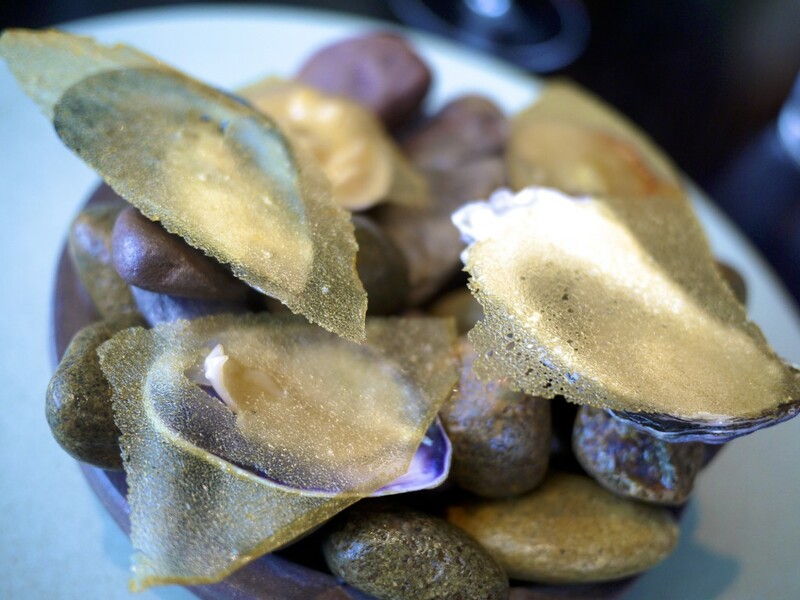 A selection of five locally sourced molluscs were served over a bed of chilled pebbles, each one covered with a crispy thin wafer made from crocodile fat combined with the skin that forms on top of chicken stock. We were advised to start with the Pippi, followed by the blue mussels, strawberry clam, flame cockle and finally the oyster. My personal favourite was the flame cockle and the sweet strawberry clam. … which we naturally obliged. 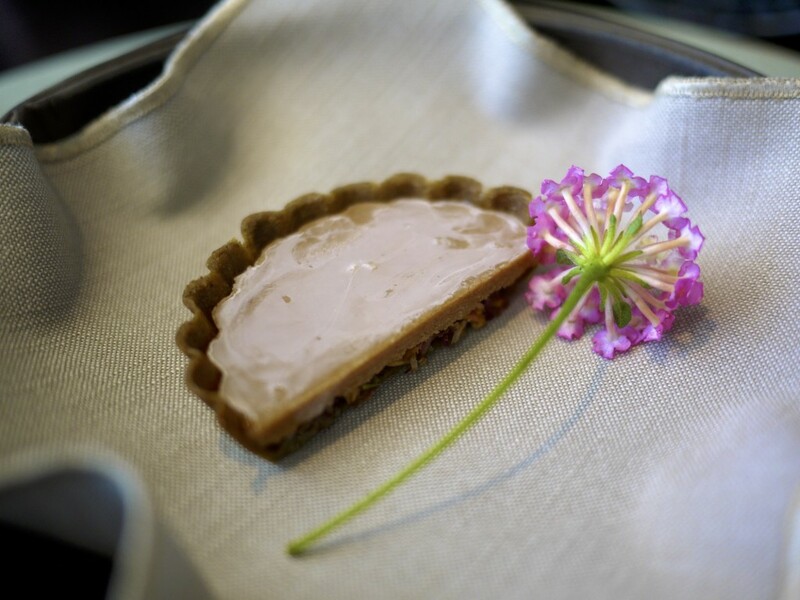 In the absence of a distinct smell, the edible flowers provided a lovely aroma to the dish and also cut through the rich slice of pie. All in all, the flavour of the pie was not too dissimilar to a very concentrated taste of scallop unlike anything I had eaten before. The crust crumbled like a sable biscuit and provided that important firm texture to the dish. It was an interesting dish although I was not quite decided as to whether I just liked it or loved it. It reminded me of a Japanese prawn cracker, and a good one for that matter. 7th Course – BBQ’d milk ‘dumpling’ Marron and Magpie goose: Our only meat course of the meal was something I had never tried before; a magpie goose. It is apparently a waterbird species from the wetlands in the Northern Territory. This was another winner of a dish. 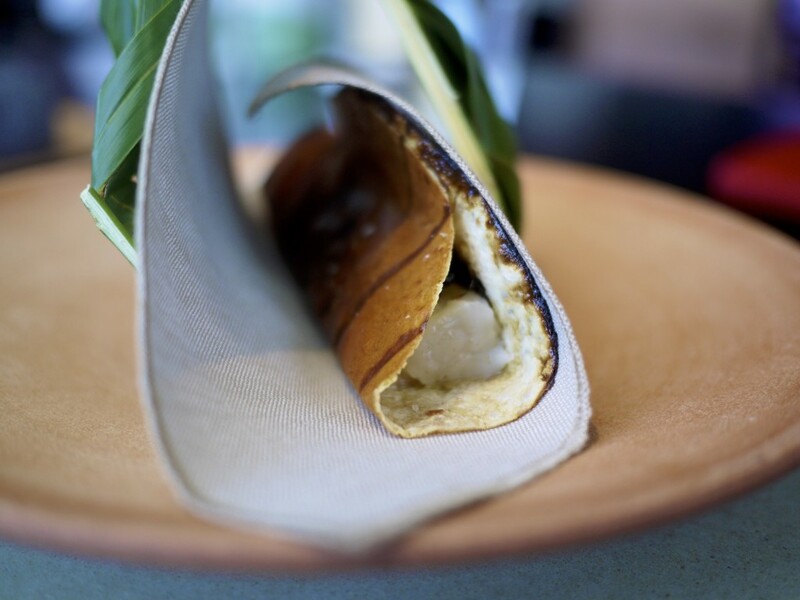 Inside the palm leaf was a dumpling casing made from crisp milk skin, resembling more of a taco shell. The marron could be seen poking out, oozing with a ragu made from magpie goose. The entire dumpling appeared to have been grilled to create a smokey flavour. The magpie goose, it was explained to us, is a culled pest in NT due to their love of the farmer’s treasured mangoes. Even worse, they only eat the sweetest part of the mango!! Perhaps this explained why they had a rather sweet flavour to their meat. It didn’t take long for Sarah and I to devour this dumpling. 8th Course – Sea urchin & tomato dried with pepper berries: Another surprise of the day was the source of the sea urchin. I was quick to assume this had been sourced from Tasmania but quickly corrected that it had in fact been sourced from Ulladulla, NSW. The sweetness of the sea urchin was remarkable and the tomatoes from Launceston were equally impressive. They had been cooked 30 mins on each side to get an equal amount of heat. 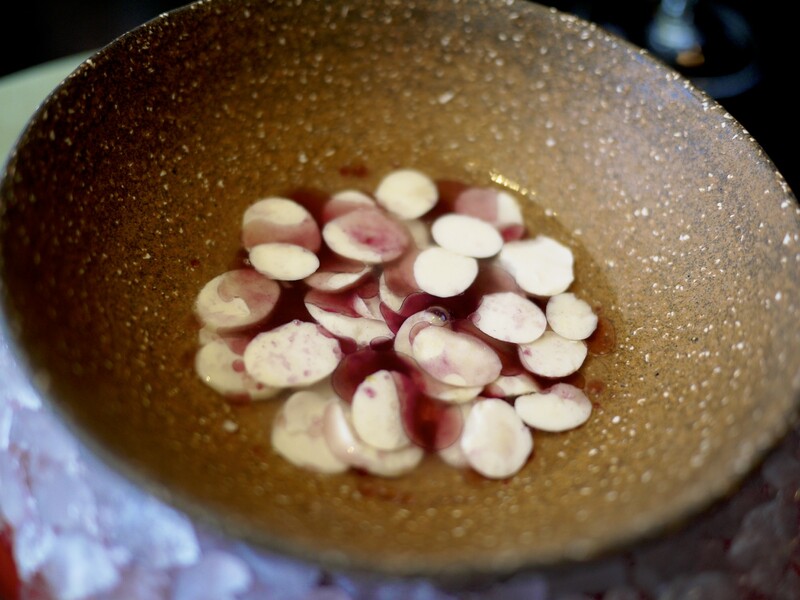 The delicious morsels were placed in a soup of fermented tomato oil, pepperberry and elderberry. 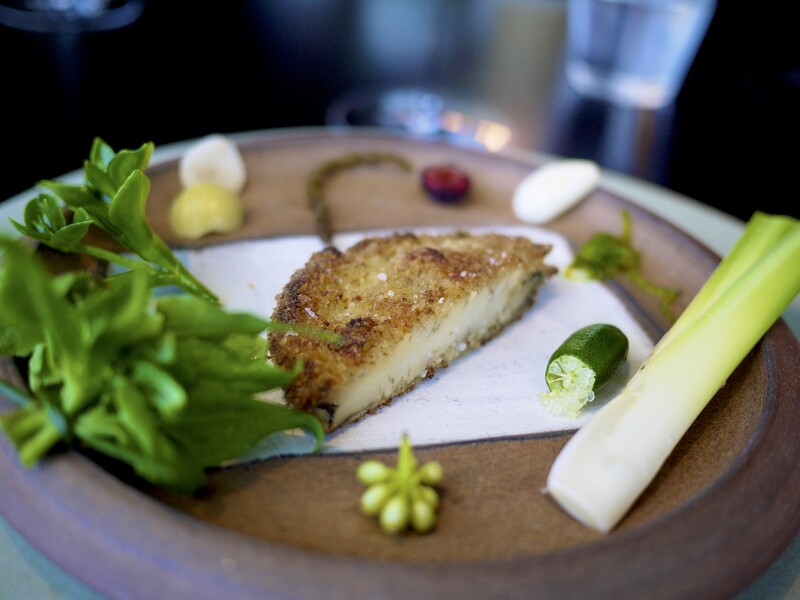 9th Course – Abalone schnitzel and bush condiments: The abalone sourced from Eden, NSW was crumbed lightly to create a crunchy texture that contrasted with the juicy and tender meat inside. We were presented an assortment of Australian bush condiments to try with the abalone, starting with mattrush, sea fennel, beach plants, native fig, neptune necklace, Kakadu plum, Atherton oak nut, sprouting kelp, yellow palm fruit, bunya nut, sea pearls and finger lime. On the side as well there was a small bowl of salty sauce made from celery oil and yeast. I wondered what had happened to the other half of my abalone. Given the number of condiments on the plate it was impossible to try each with the abalone. That, ladies and gents, was the end of our savory dishes. Was it enough? No, I definitely wanted more!! 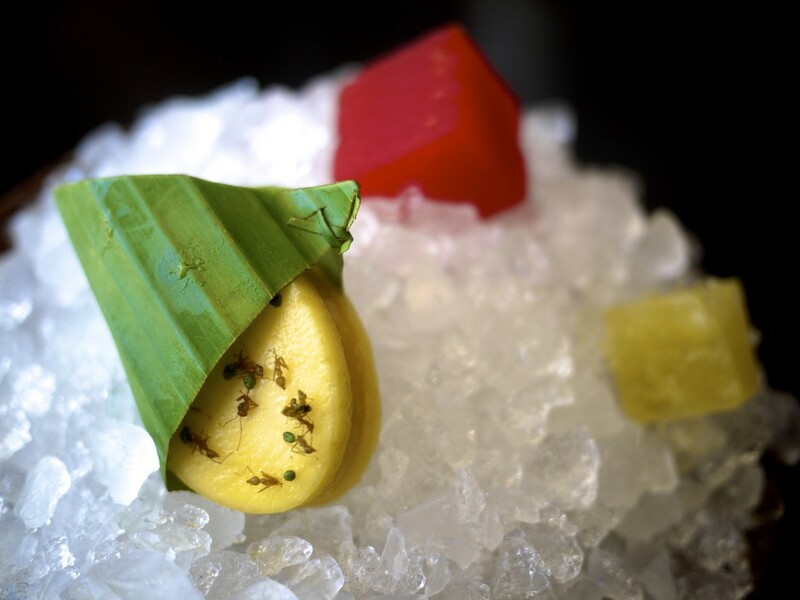 10th Course – Marinated fresh fruits: Our first of three desserts consisted of Redzepi’s famed ingredient, ants. On this occasion we had native green ants coated around a mango sandwich although the lime-like taste we were promised was nowhere to be seen. We also had a watermelon cube soaked in Davidson plum sauce and my favourite of a pineapple cube soaked in Tasmanian Belgrove whiskey. Some dessert plum and finger lime were also presented with a pepper berry twig as a utensil to pick it up. 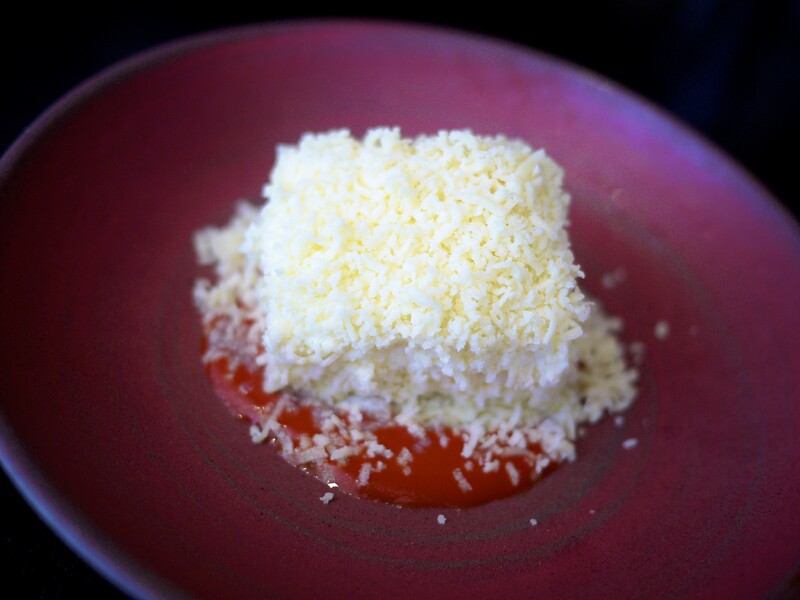 11th Course – Rum lamington: A courageous move in my view as Australians generally prefer their lamington’s untouched but (and admittedly I am still a new Australia) I thought it was executed well. The light and airy lamington conjured from aerated Black Gate rum cake topped with shavings of dried milk on a native tangy tamarind sauce was a very well balanced dish. 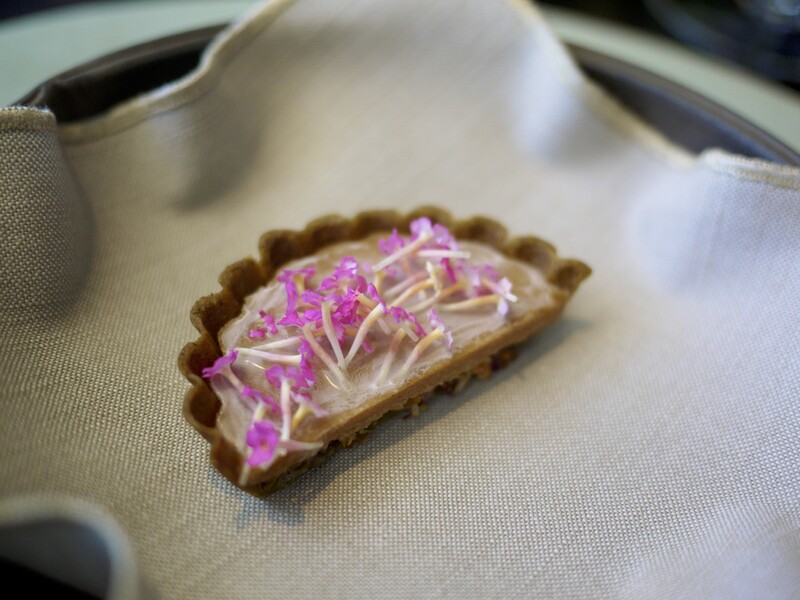 12th Course – Peanut milk and freekeh ‘Baytime’: The finale was another homage to the Australia iconic “Golden Gaytime” ice cream which was one of the first thing my wife introduced me to when I arrived in Melbourne. They had wanted to call it a Gaytime but couldn’t (possibly for copyright reasons I assume) and instead called it a Baytime to reflect the location of the restaurant. Inside was a toasted freekeh glazed coating was a frozen peanut milk juice and a caramel centre. 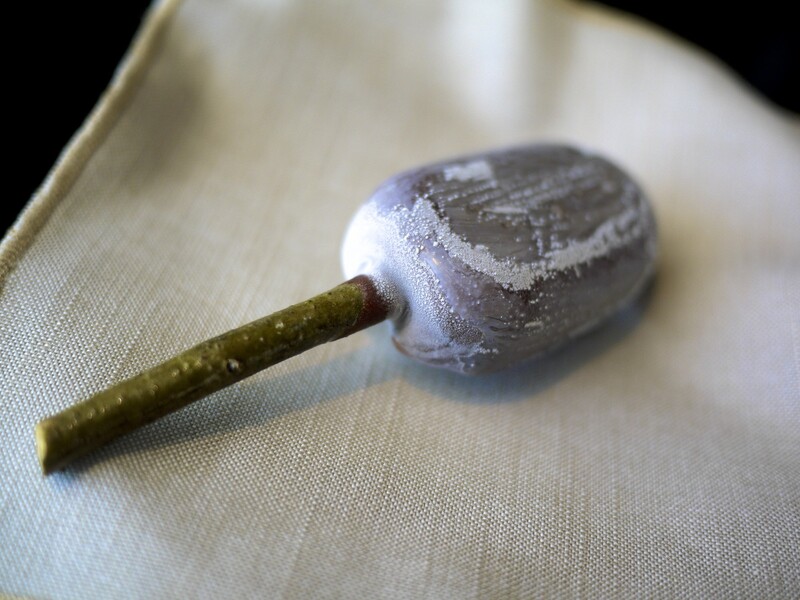 A twig of lemon myrtle was used as the stick of the ice cream, adding a subtle note of citrus fragrance. Impressive! 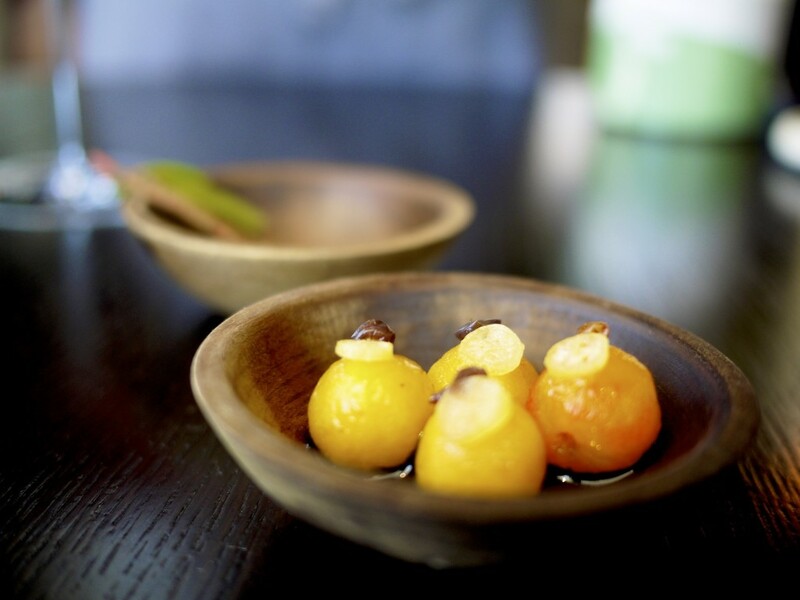 We were next provided with some dessert lime candies to go with our Ethiopian coffee which was excellent. Whilst I haven’t delved too much on the matched wine, I can share a few thoughts. 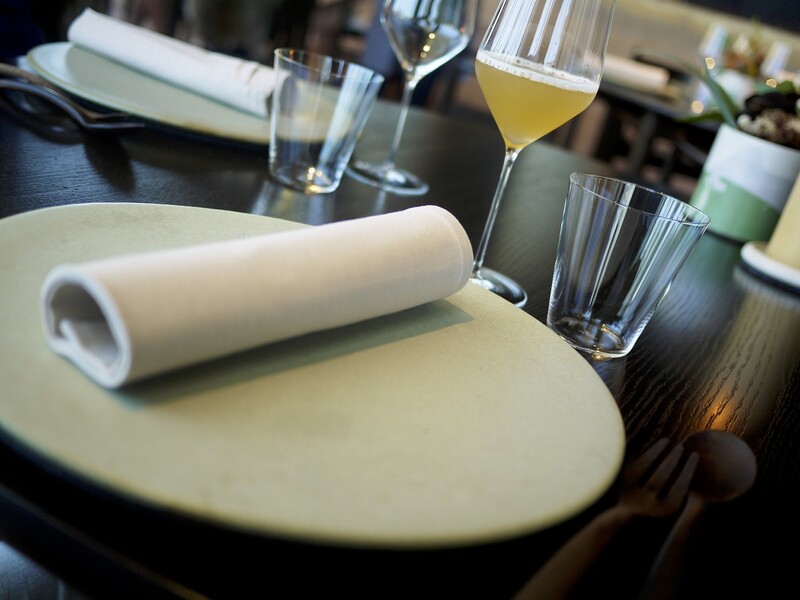 Firstly, they are exclusively Australian and, in absence of a wine list, one can safely assume the choices are limited to the Sommelier’s suggestions. Secondly, there was a concentration of wine from South Australia and in particular the Adelaide Hills. I was surprised to find no Victorian or Western Australian wines. Thirdly, just as my experience in Copenhagen seven years ago, the offering is generous with at least a top up for each matching wine; so much so I was utterly intoxicated by the time we moved outside to have a digestive. Lastly, as dictated by the courses, it wasn’t surprising to find that all but one wine were white. On a completely separate note, my friend’s matching juice was in my opinion a far better match to the food as far as the compatibility factor went. Since returning home the main question I keep getting asked was whether it lived up to its hype. To be honest this is something I’ve struggled to answer. There’s a certain intrinsic value of something that is so finite in supply, similar to our experience in the closing season of elBulli, that canvasses the sense of occasion. To that same token, comparing my meal here to the one in Copenhagen would be like comparing bananas with apples; the food was completely different. Overall there were a couple of knock out dishes and a couple less so. What excited me, however, was the opportunity to taste and celebrate Australian ingredients and produce in a way that I’d never come across before. The uniqueness in this occasion was that this was done through the perspective of a talented foreign chef. Redzepi was in a great position to present ingredients which to be honest I suspect no one would have even contemplated serving. This highlighted the diversity and abundance of ingredients found across the continent. 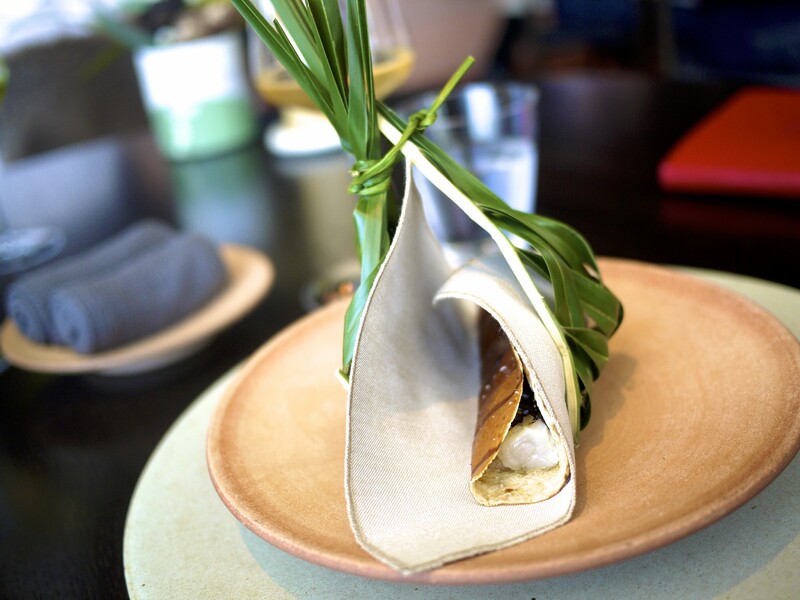 For this reason, Noma in Australia was truly a unique and memorable experience like no other. The icing on the cake of course was the friendly service I fondly remembered from Copenhagen. So if you do get a chance, go. You may not agree with all the dishes but you will certainly have a unique and highly memorable meal. This entry was posted in Australia and tagged Australia, Copenhagen, fermented kangaroo, magpie goose, Noma, Rene Redzepi, Sydney, Two Metre Tall on February 28, 2016 by admin.